Are your teeth discoloured, badly worn down, chipped, or broken? Do you have misaligned teeth, irregularly shaped teeth, or gaps between your teeth that bother you? Composite veneers are used to improve the appearance of a wide range of flaws and make a huge difference in your smile. These direct veneers are made from composite resin, essentially the same material used for dental bonding or tooth coloured fillings. They are bonded and formed directly on the facial aspect of a tooth. Colour matching, contours and thickness can be a challenge as composite veneers are usually hand made by your dentist in your mouth. They usually are completed in one visit. The success and beauty of them is totally dependent on the cosmetic dentist’s experience and artistic flair. These veneers are usually more conservative than porcelain veneers. Many times, they are done without any removal of tooth structure. This makes them entirely reversible. They will not last as long as porcelain veneers and cost about half as much. The procedure is an extremely versatile solution for improving the look of your smile. At your initial cosmetic consultation Dr. Kaviani will highlight how the Composite veneer's procedure can achieve your aesthetic goals. You begin with a cosmetic consultation, dental x-rays and smile makeover assessment to determine if composite veneers are the best option for you. 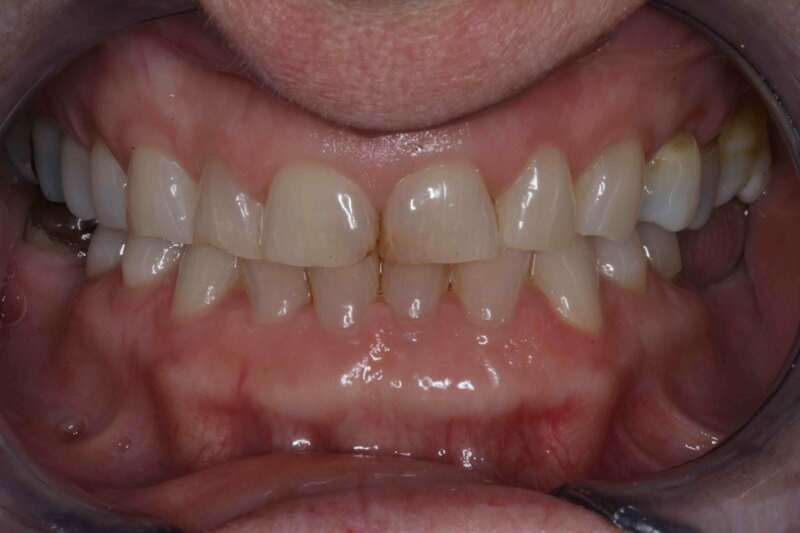 The next step is to come in for preparatory treatment, in which a minimal amount of enamel may be removed from the surface of the tooth, which will later be replaced by a veneer. Then we take impressions of the teeth and send to our lab to construct the veneers. The completed composite veneers arrive in 1-2 weeks, however these veneers may be bonded directly to your teeth and sculpted to the desired shape and finished in one visit , depending on the complexity of the cosmetic case. Before we permanently attach the veneer to your tooth, the veneer will be examined to ensure that it is the correct colour and shape for your teeth. It will be trimmed if needed. Each tooth is cleaned and polished prior to bonding to the teeth, and all excess adhesive is removed. We evaluate how everything looks and schedule follow-up appointments over the next few weeks to monitor the veneers’ position and the gums’ reaction to the veneers. Our cosmetic dentist Dr Haide Kaviani has an artistic flair to provide composite veneers that will be indistinguishable from your other teeth. 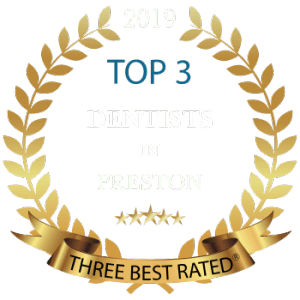 With over 24 years of experience in advanced full mouth rehabilitation and cosmetic dentistry she has a clear understanding of the properties of each composite dental material and experience in sculpting and replicating the shape, texture and characteristics of each and every tooth. 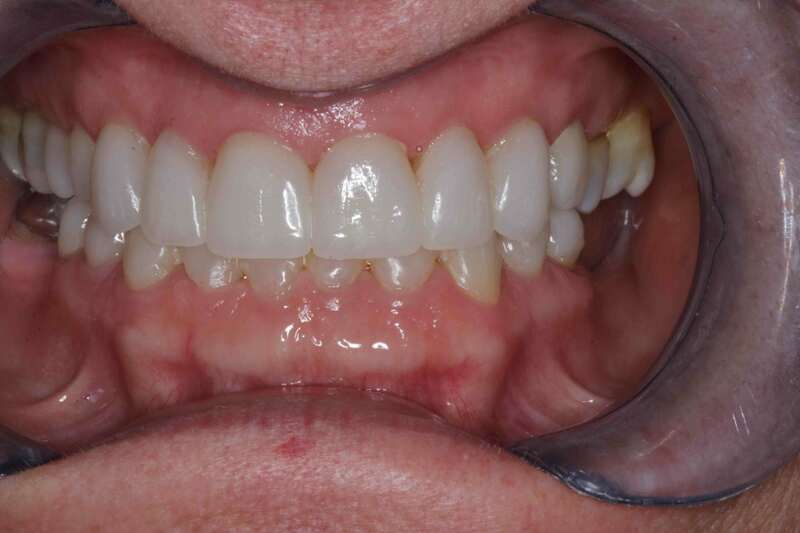 Meticulously matching natural teeth shade and shape with composite veneer restoration is one of the most challenging procedures in restorative dentistry. Natural teeth vary greatly in colour and shape. They reveal ample information about patients' background and personality. Dr. Kaviani uses this opportunity to restore unique patient characteristics or replace them with natural looking composite veneers. Please contact us on 01772 726932 or email us to book your cosmetic consultation.